Just yesterday, PEOPLE released some additional details on Kelsea Ballerini and Morgan Evans’ Cabo San Lucas wedding (which happened earlier this month). And while so many fans couldn’t wait to glean all the specs on KB’s multiple dress changes, we obsessed about the couple’s decision to ditch the traditional champagne toast for something even more appro - shots of tequila. Yes, yes, yeeeessity yes. 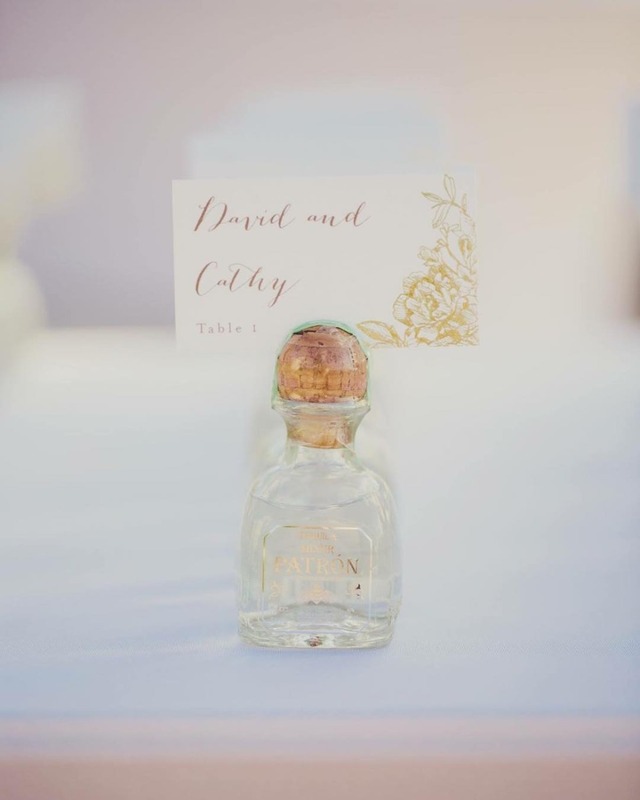 Of course, a Mexican wedding is the perfect place to turn up with something so native for your nuptials, but Kelsea and her new mister had an even cuter reason for switching out flutes of bubbly for shots of tequila and tacky and tawdry have NOTHING to do with it. The duo offered their 100 guests tequila shots as a tribute to the night that they met. After co-hosting an award show together last March (2016) in Evans’ home base, Australia, they broke the ice by throwing back a shot of tequila. After her now husband asked her to humor him with a toast to celebrate their bang up hosting job, she recalled thinking “I remember taking that shot and putting it down and looking at him like, ‘Oh… he’s super hot.’ They apparently kissed later on in the night and the rest is basically history. Sure, you don’t have to get your guests twisted right after you say your vows (unless that’s your thing, then by all means, you do you! ), but giving them another option to toast your union is a great idea. Especially if you’re not a fan of champs or prosecco. Hush, even saying that crushes our basic b**** souls. In any case, here are a few other options to try out if you’re not big on bubbles, and make sure you swipe through for even more ideas that we’ve dreamed up. Oh yah, we’ve got em. Like Kelsea and Morgan serving up tequila as a tribute to their origin story, treat your guests to something that reflects your relationship really nicely. Whether that means making sure your guests each have a glass of your signature cocktail or if you really want to go personal..... Say your early dates included trips to the best ice cream shops in your state - give your guests mini root beer floats or tiny milkshake shooters. If you and your partner are huge homebrewers or winemakers, make a signature brew or vintage of your own and serve up mugs or glasses for your toast. Your guests will absolutely love it. Who knows, maybe friends of yours will take a sip and start their own love story (it happened at my wedding, no lie). For real, your friends and fam are excited to toast your new titles as Mr. & Mrs., but they’re really just ready for the open bar. So, instead of giving them some sparkling or spiked sips or even just basic water, go with a refreshing and light mocktail that they can toast and hydrate with (#grapefruit goals -- they’re hugely hydrating and can help stave off that hangover) before they make their way to the bar.